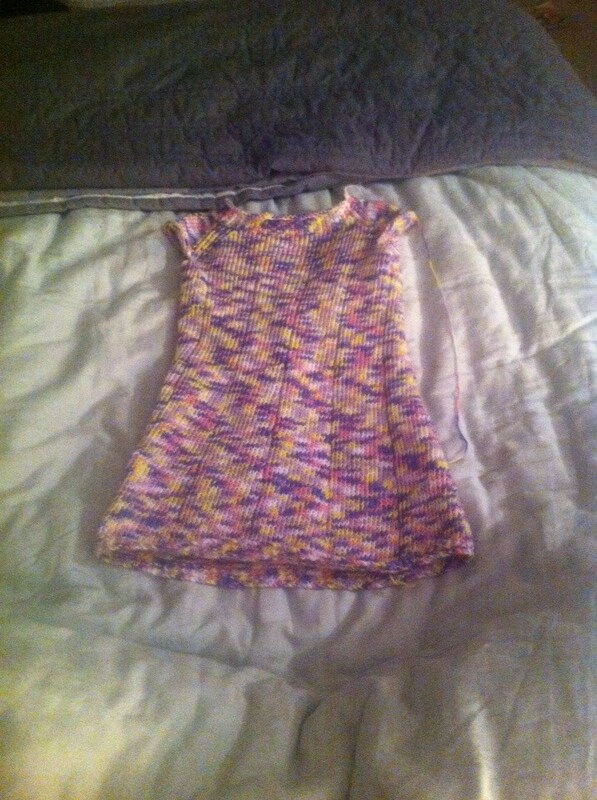 I knit this one from a ravelry download: A simple seamless dress. I have to say that it got really boring in the middle of the dress because it’s a bunch of knit stitches without any shaping. I put it down for a while during that phase because I just had to do something else more interesting. This hat was my first attempt at fair isle knitting. 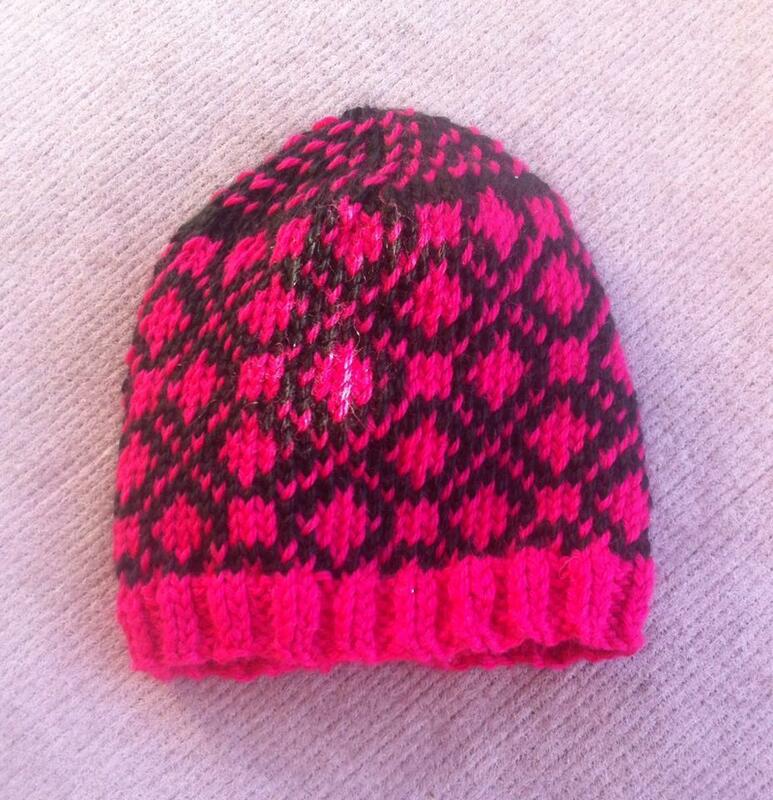 I found the fair isle pattern in a book, and I used a basic hat pattern for the shaping. I realized that you can’t use a connecting pattern if you’re knitting in the round because it’ll look like you’re one stitch off where you join in the round. Also I need to figure out a better way to do the top of the hat as far as figuring out when I’m decreasing and how to keep the pattern the same visually. This hat is for a toddler, at least it fits my 2 1/2 year old. A group of my sister-in-laws are making baby oriented products like hats, blankets, bibs, etc. to sell at a local craft fair later this year. So I figured I’d start early so I’d have enough stuff to sell.